A sense of community is something that all of us here at Mercedes-Benz of Kansas City take tremendous pride in. Our great city is home to many thriving businesses, world-class sports teams, life changing organizations and of course amazing people. Here at Mercedes-Benz of Kansas City we are always happy to help support the growth and development of our hometown anyway we can by hosting and supporting great local events and initiatives. One of the most recent organizations Mercedes-Benz is proud to support is that of LiveKC. LiveKC is an organization that focuses on the present and future of Kansas City by hosting events and bringing together Millennial, or the Y generation, of Kansas City residents. Millennials are a demographic of individuals highly focused on career life, family, public initiatives and bettering the overall quality of life for their communities and communities around them. LiveKC brings together the, motivated, young minds of the Kansas City area to focus on civic initiatives like jobs, housing, and transportation just to name a few. By actively engaging young, bright and motivated people, LiveKC can help keep ambitious and promising young professionals here in our communities and build a brighter future for many generations to come. Much of what LiveKC represents is bringing people together to grow networks and be proactive in strengthening the greater Kansas City area. By introducing people with common goals and motives, LiveKC focuses on hosting live events that help showoff just how much opportunity Kansas City has to offer. You may already know someone actively involved with LiveKC, and many participants in this movement already work at major businesses, live and play right here in Kansas City. With great organizations like LiveKC, the future looks bright and exciting for Kansas City. One of the best ways to understand what LiveKC is all about is to see it for yourself. 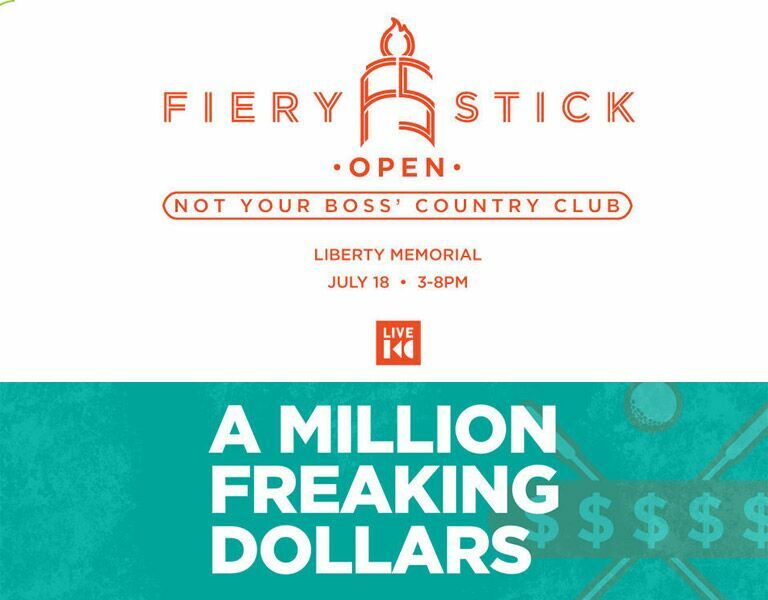 On June, 18th, 2014 LiveKC will be hosting the Fiery Stick Open for a day of fun and networking to support a great cause. Not your typical day of golf, this event will feature things like bocce, badminton, croquet, live DJ, food, drinks and so much more. We almost forgot, there will also be an opportunity to win 1 MILLION dollars if you can sink a hole-in-one. To view the details for this event, visit HERE. Be sure to use promo code “Aristocrat” or “MercedesKC” for an exclusive ticket discount.